Today is the day for Sun versus Snow to begin! Michelle and I are beyond excited to get this party started! 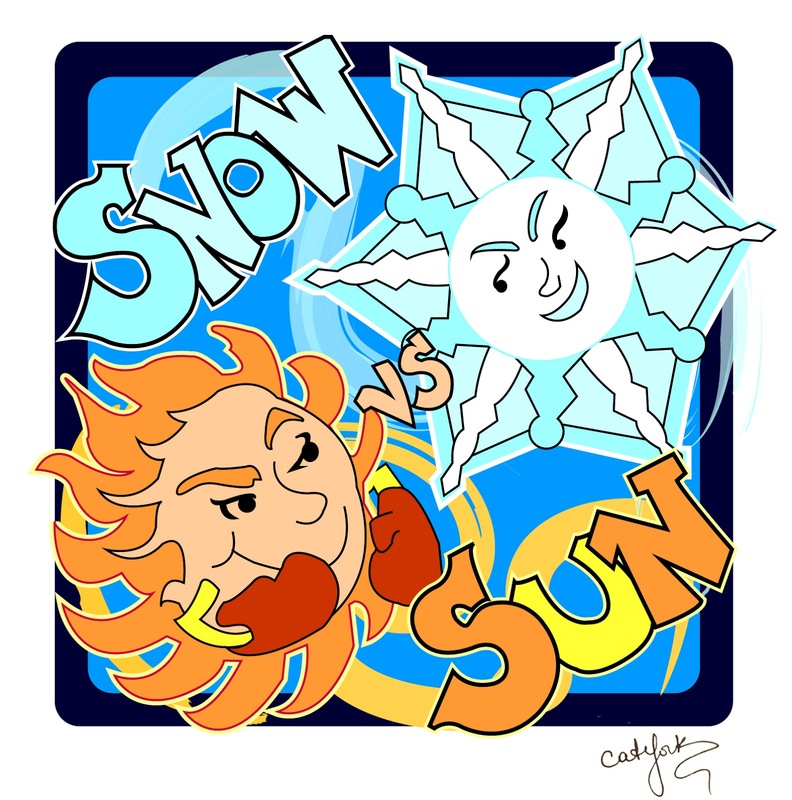 The submission window for Sun versus Snow will open TODAY at 4 pm Eastern time! Act fast. We will only be taking the first 200 entries. Please do not enter early or your entry will be deleted. You can resend at the proper time if this happens accidentally. Confirmation emails will be sent. If you don’t receive one, don’t resend. We don’t want duplicate entries. Please check with us on Twitter first to confirm your entry did or did not arrive, then you may resend. There is only ONE, yes that’s right, ONE entry per person allowed. Any attempt to cheat will result in entries being thrown out. This contest is only for finished and polished stories. Important note: The story can’t have been in the agent round of any other contest in the past five months. We are doing this at our agents's request to prevent contest overlap. Also, Michelle and I have decided not to accept picture books for this contest. Though we love picture books, contests just don’t seem to be the best place to get them requests. We do accept all MG, YA, NA and Adult genres, excluding erotica. To enter you must be followers of our blogs. Click the “join this site" button on my blog. Find Amy's blog here. Also consider checking out the FAQ for answers to other questions. Which would your character find more helpful in fighting through their biggest obstacle–hot or cold. And why? Tell us which weather would be the most helpful to your character. Here are the first 250 words of my manuscript, and I will not end in the middle of a sentence. But I will not go over 257 words. Be reasonable and don’t make us count. Don’t forget to space between paragraphs! If you have any questions prior to the sub window opening, please let Michelle or I know. Here are the topics for the twitter party. Come join the fun at #sunvssnow! We'll be tweeting tips about slush. February 1st: Submission day! What genre and age category will/did you enter? February 2nd: It’s very important to read new books in your genre to get a sense of pacing and timing as well as style. What book in your genre have you read recently? February 3rd: Is the setting of your manuscript sun or snow? February 4th: Is your next project in the same category and genre? If not, what made you change? Basically do you write in the same category and genre all the time? February 5th: Where do you write? Coffee shop, office, kitchen table? February 6th: Do you make a playlist for your manuscripts? If so, what music style do you tend to choose? February 7th: What's your best editing advice? February 8th: It's announcement day! Celebrate by posting a silly picture of you in sun or snow wear.